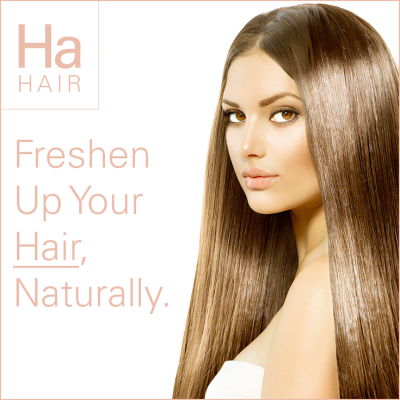 Freshen Up Your Hair, Naturally. When it comes to having clean, fresh, and healthy hair forget the myth of washing your hair on a daily basis. In fact, recent studies have shown that using shampoo on a regular basis may in fact be harmful to our hair. Our strands are being stripped of those natural oils that are vital to protect and keep our hair soft and strong because of the abuse it’s under. And let’s be honest ladies, we do abuse our locks. From color treatments, to hairdryers, curling irons, and straighteners to extensions, and way too many products. I’m sure the majority of you are nodding your head in agreement right now. Baking soda, apple cider vinegar and coconut oil. Yep. Three simple ingredients that will have a positive impact on your hair. The first is baking soda, which is a gentle alkaline and can be used to remove any chemical build-up leaving it, over time, much cleaner. When it comes to using baking soda you might want to amend the amount you use depending on your hair type; the thicker the hair, the more baking soda you will need. Alongside baking soda you can also use apple cider vinegar, which is a mild acidic and will counteract the alkaline properties of the baking soda. It acts as a conditioner; detangling the hair follicles, sealing the cuticles and evening out that delicate PH balance of your strands. Used in a similar way to the baking soda you should mix one tablespoon of vinegar to one cup of water and be careful, if you have oily hair you may not need too much of this! And then coconut oil which if you don’t have a jar of this in your life then you need to make amends – stat. Coconut oil will work as a gorgeous treatment for your hair ensuring that you have the silk and shine that you’ve always dreamed of. 1. First wet your hair and take about a tablespoon of baking soda mix and mix it with a small amount of water in your hand. Apply as you would shampoo. Be sure to work it in to your locks and your scalp and let it rest for a few minutes. 2. Next rinse with warm water and spray on your apple cider vinegar. Now you don’t want to put the vinegar directly, use a spray bottle to mix half ACV and half water. Spray this all over and work through with your hands. Making sure to throughly coat and then rinse. Don’t worry about the smell, it’ll only last a few minutes. 3. Next apply your coconut oil and let it sit for a while. Then wash out. You only really need to use the coconut oil if your locks are dry. So why don’t you take the plunge and see if you can keep your hair looking fresh, beautiful and clean without the need for any harmful chemicals.